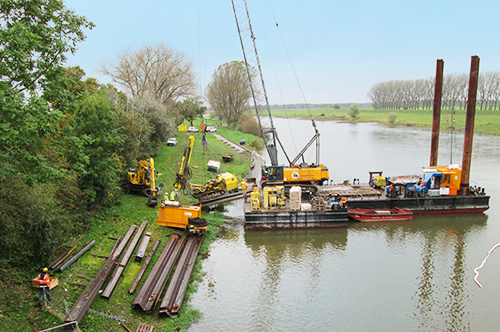 Bridge construction, trough construction, harbour construction, locks, sewers, piers and culverts as well as numerous major civil engineering projects: For decades, Hecker Bau in the northwest has been known for its special competence in civil engineering and hydraulic engineering. As the successor to Heinrich Hecker GmbH & Co. KG, Hecker Bau belongs to the Depenbrock group of companies. Hecker Bau combines high technological know-how and comprehensive experience to implement durable, functional and economical solutions. The company's own steel construction workshop is certified according to EN 1090-2 to EXC3 for work in steel and hydraulic steel construction. 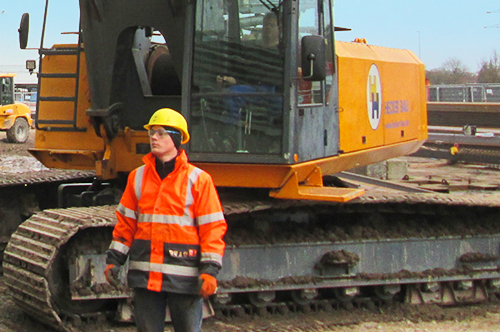 The mechanical engineering department at the plant location in Hatten has various special construction equipment for engineering and hydraulic engineering. These include crawler cranes, pile drivers, leaders as well as lifting platforms and pontoons - with DNV GL sea approval - etc. for work on land, in inland waters or at sea. Technical equipment and certification as a specialist welding company complete the offer for fast and qualified realisation of customer requirements. In addition, Hecker Bau has introduced the SHE management system SCC. To Hecker Bau GmbH & Co. KG is owned by the Hamburg branch F + Z Baugesellschaft, which offers the same range of services with a focus on constructive hydraulic engineering - in particular the construction of quay facilities, locks, container terminals as well as nearshore and offshore facilities. The long-established Hanseatic company also handles international construction tasks in engineering, port construction and hydraulic engineering. 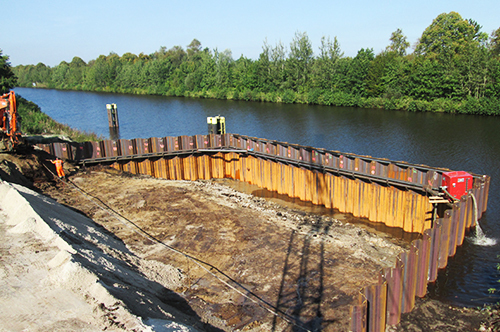 With the competence of its own technical office in Hamburg, solution-oriented planning in the fields of general engineering, port construction and hydraulic engineering as well as foundation and special foundation engineering can be developed. With these prerequisites, Hecker Bau is in a position to implement a wide variety of construction tasks quickly, flexibly and at a high planning level.